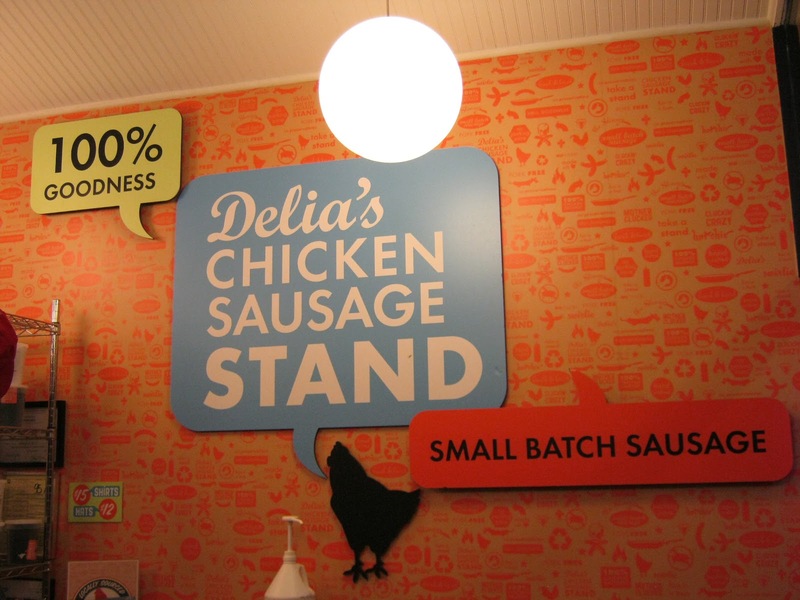 A few weeks ago, after leaving the neighborhood watering hole, a little tipsy I might add, I decided to try out one of the newer additions to the late night drunk food scene... Delia's Chicken Sausage Stand. The Sausage Stand is a quaint little place, in the former Fish Delight location on Moreland avenue. 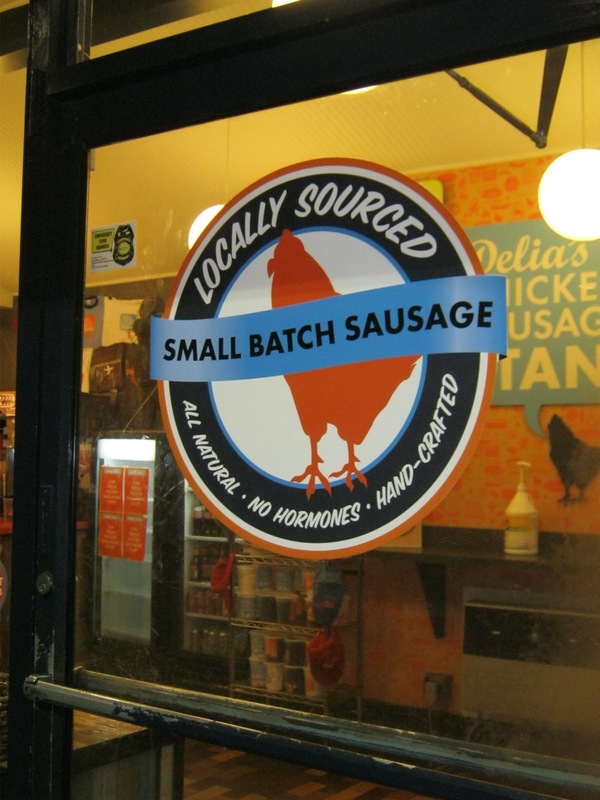 They boast "small batch chicken sausage crafted from local sources using only Springer Mountain Farms chicken, which means NO Antibiotics, NO Chemical Medicines, and NO Growth Stimulants or Hormones." I don't know if all of that can consider this place healthy... but it sure is yummy! 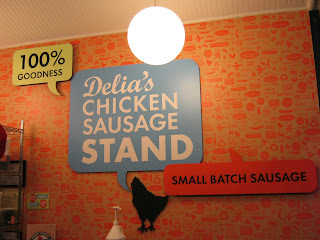 Delia's recently switched to a 24 hour operation on the weekends... hence my late night adventure. Fellow East Atlanta partiers, that means we don't have to go to that crappy 24 hour McDonald's for our late night snacks anymore! Hallelujah! 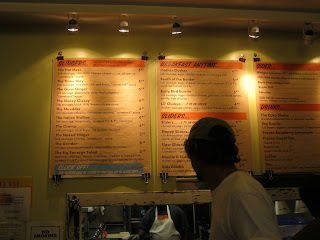 As I mentioned previously, I was a little tipsy when I arrived, so the menu was a little overwhelming. Slinger? Slider? 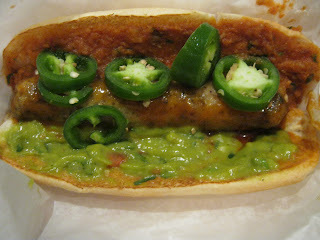 Krispy Kreme as bread for a chicken sausage patty? Oy. 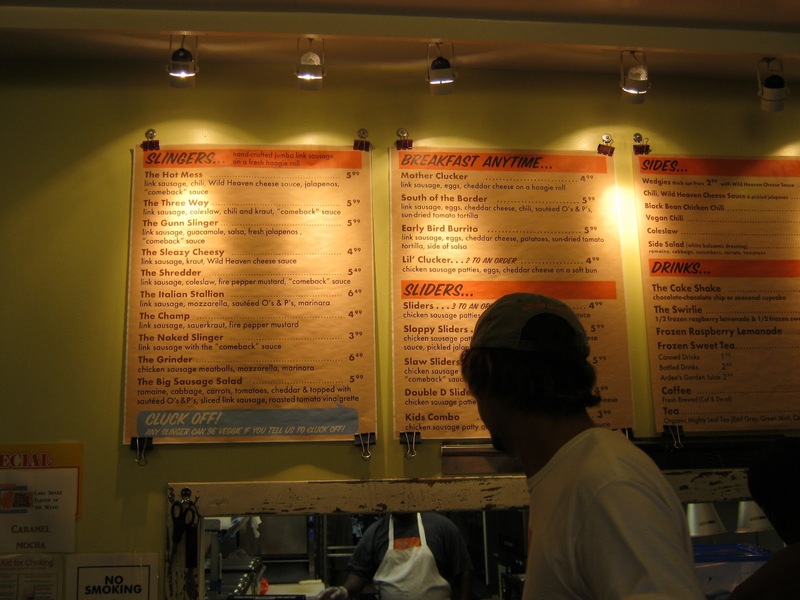 After way too much back and forth, I finally decided on a classic Slinger.... The Gunn Slinger. It was amazing (or maybe I was just drunk and hungry). The chicken sausage link, guacamole, salsa, fresh jalapenos and “comeback” sauce all on a perfect Holeman & Finch hoagie roll... soooooo good. 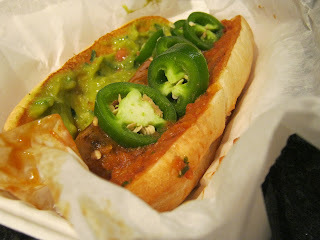 I had to take a few of those jalapenos off before I could bare it, but all in all it was a really tasty late-nigh snack. Of course, I am on a weight loss journey now... so I won't be going back anytime soon, but you guys should go.... and think about me when you are chowing down. Let me know what you think! Have a yumtastic weekend! See you back here on Monday, for "Monday Funday".